As the World Cup excitement builds, Smith Newmans are continuing to help youngsters across Hampshire and Wiltshire achieve their future footballing dreams. 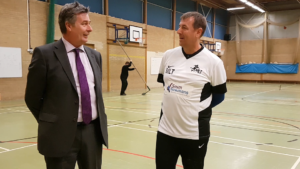 The Winchester-based accountants, business and tax advisers are sponsoring Matt Le Tissier’s Acadamy and football coaching schemes in schools across the two counties. 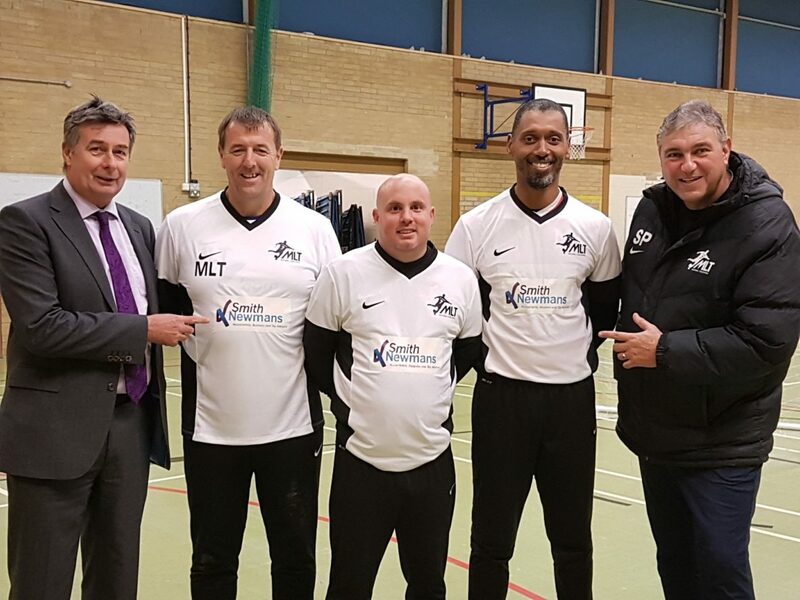 New white shirts featuring the Smith Newmans’ logo are being worn by coaches from MLT Natural Coaching, who work with thousands of youngsters in more than twenty schools across the area. The sponsorship money is also helping to pay for new kit, including new quality footballs for the aspiring youngsters to use. MLT Natural Coaching was set up in 2012 by the former Southampton FC star and his fellow Saints team-mate, Francis ‘Franny’ Benali, and has since expanded rapidly. The MLT Academy builds youngsters’ skills and gives them the chance to play and be seen by professional football clubs, including AFC Totton. “Sponsorship from Smith Newmans is fantastic”, said Matt Le Tissier. “Every little bit of money we get through local sponsorship means more money can be ploughed back into the coaching and equipment for the kids”. “We make sure there is an environment here that kids can blossom in and where they won’t be shouted at – that’s really important to me. It’s a place where they can go on to be the best they could possibly be and try something different”. Director of Smith Newmans Nigel Newman explains: “We’re so impressed with the coaching programmes being run by Matt Le Tissier Natural Coaching and Matt’s philosophy behind them. Find out more information about MLT Natural Coaching here. Watch more videos from Smith Newmans featuring Matt Le Tissier by subscribing to our YouTube channel here.